It is a concept that already popular in England - and now cycle cafes are finding a foothold in cycling-mad France. And no wonder, as they combine two of the country's best-loved pastimes: cycling and drinking coffee. These are places for cyclists to rest and have a chat with like-minded folk. They are also places to get your bike fixed, or pick up a lock or a new pair of lights - even a new bicycle, if the mood takes you. Whether you are into mountain bikes, road bikes or more niche forms such as gravel bikes or adventure bikes, there is always a discussion to be had over a cappuccino and a slice of cake. 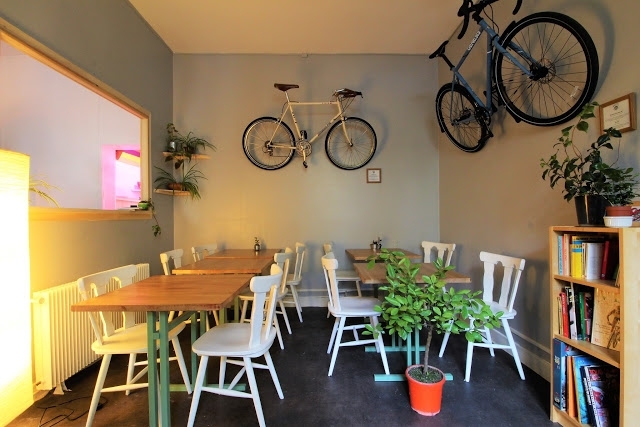 One of the latest cycle cafes was opened by a pair of anglophone expats in Bordeaux. 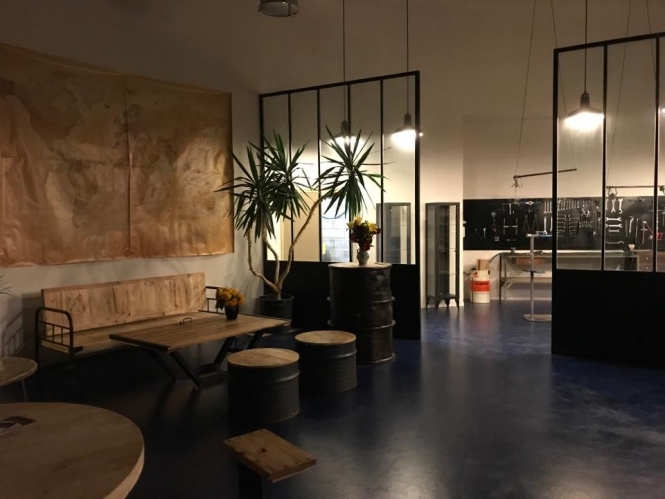 The combination of coffee, cake and cycling seems to be winning over the French so let's have a look at a map of the best cycle cafes in France. Opened by two anglophone expats in Bordeaux. 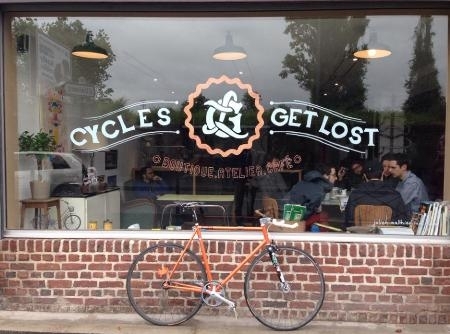 Offers espresso coffee, bicycle repairs, Genesis vélos, and a vegetarian menu. Opened in a former garage in Poitiers. One of the original cycle cafés in France. Cycle café, bar and bike-hire in the town centre. Original name and also offers cycles for sale. Recently opened in central Paris. The store front for their magazine in a chilled Parisian neighbourhood. There is no workshop but they have cycling accessories, including socks. 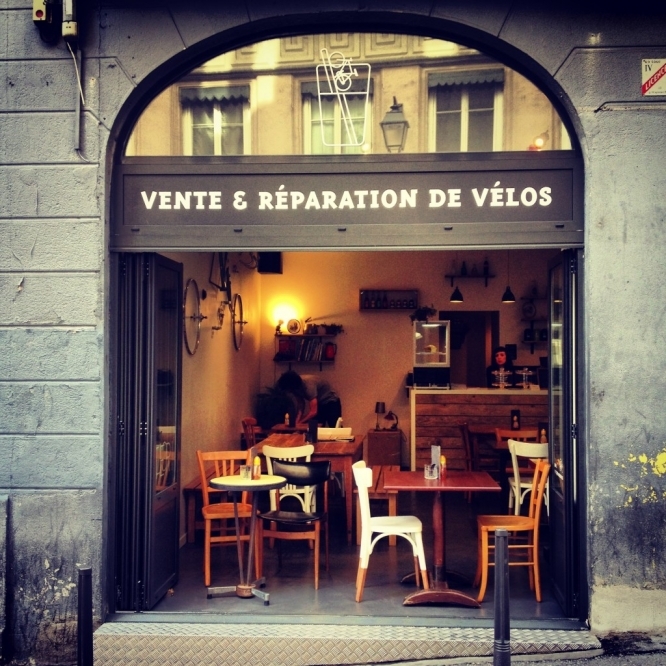 One of the first cycle cafés to open in France and still going strong. Recently opened in a renovated water treatment building in Agen. Offering everything a cyclist could want - including beds, as they also run a hostel perfect for tired-out riders at the end of a long day.